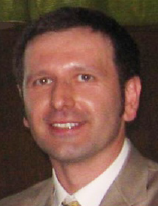 Prof. dr Fedja Netjasov (male) is associate professor at the APATC, UB-FTTE. Educated at University of Belgrade, where he received his dipl. ing., M.S. (Magister) and PhD, all in Air Transport and Traffic Engineering. Additional professional experience he gained through: traineeship in Traffic Operations Department, Munich Airport (Germany) and internship in Operations Engineering Department, Zurich Airport (Switzerland) while scientific experience he gained as a guest researcher at Technical University of Delft (The Netherlands) and at National Aerospace Laboratory – Air Transport Safety Institute (The Netherlands). He also attended three Safety Assessment Methodology related courses (FSH, PSSA, SSA) in EUROCONTROL Institute of Air Navigation Services, Luxembourg. He has a working experience of 15 years in the ATC/ATM and Safety assessment domain. His main fields of interest are: Risk and Safety in Aviation; Air Traffic Control/Management; Air Traffic Analysis, Modelling and Forecasting. He is a professional engineer, author and co-author on more then 20 projects related to ATM and airports. Also, he is an author and co-author of more than 40 papers, co-author of the textbook “Air Traffic Control” (2011, in Serbian language) and author of the book “Air Transport Safety: An Introduction” (Nova Science Publishers, NY, USA, 2015). Prof. dr Obrad Babić (male) is a professor at the APATC, UB-FTTE and Head of Division of Airports and Air Traffic Safety. Educated at University of Belgrade, where he received his dipl. ing., M.S. (Magister) and PhD, all in Air Transport and Traffic Engineering. Additional scientific experience he gained as a guest researcher at Technical University of Berlin (Germany) and Massachusetts Institute of Technology (USA). He has a working experience of 38 years in the ATC/ATM domain. His main fields of interest are: Air Traffic Control/Management; Air Traffic Analysis, Modelling and Forecasting; Airport Planning, Design and Operations. He has been teaching courses in those areas for almost 30 years now. Professional engineer, author, co-author and project manager on nearly 80 projects related to ATM and airports. Author and co-author of more than 75 papers and co-author of the textbook “Air Traffic Control” (2011, in Serbian language). Guest professor at universities in Delaware (USA); Ljubljana (Slovenija), Trieste (Italy) and Zilina (Slovakia). 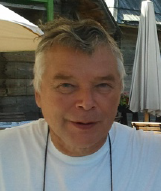 Prof.Vojin Tošić, (male); retired as from 1st October, 2011; he is involved with APATC on a part time basis) is former Head of the APATC at UB-FTTE. Educated at the University of Belgrade (Dipl. ing.) and University of California at Berkeley (MSc and PhD on runway capacity modeling, sponsored by NASA). His professional interests are transport systems analysis, in particular: airports, ATM and air transport analysis, planning, design and operations modelling. He has been teaching courses in those areas for more than 30 years. Professional engineer, author and project manager on nearly 100 projects related to airports and ATM, and ICAO expert (airport planning, Rio de Janeiro and Singapore). Author of more than 100 papers and member of editorial boards of two leading journals and reviewer for most renowned transportation journals. Member of programme committees of professional conferences among others US/Europe ATM Seminar being twice Rapoteur on Airspace Management. Guest professor, researcher and member of PhD committees at: UC Berkeley, MIT, Technical University of Denmark, University of Loughborough, University of Calgary, ENAC and Ecole Polytechnique de Toulouse. Dr Bojana Mirković (female) is assistant professor at the APATC, UB -FTTE. Educated at University of Belgrade, where she received her dipl.ing., M.S. (Magister) and PhD, all in Air Transport and Traffic Engineering. During ten years of experience she has been involved in labs and lecturing (mainly Airports, but also Air Traffic Control, Air Navigation, Transportation Networks and Meteorology); and has taken part in a number of research and consulting projects mainly concerning airports and ATM (capacity analyses, resource allocation, innovative design, sustainable development, etc.). She is co-author of about 20 journal and conference papers, two textbooks and one practicum for Airport courses. Professional engineer, reviewer in transportation journals, external member of PhD committees (University of Calgary and University of Zagreb), etc. Additional professional experience she gained through internship at: Tenerife Sur, Munich Airport and Zurich Airport (working with Operations Planning departments), and a number of courses/seminars on aviation safety, air transport economics, human factors, resources allocation, project management, etc. 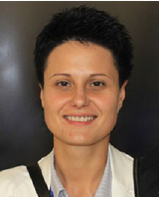 Dr Tatjana Krstic Simic (female) is assistant professor at the APATC, UB-FTTE. Educated at University of Belgrade, where she received her dipl.ing., M.S. (Magister) and PhD, all in Air Transport and Traffic Engineering. Additional professional experience she gained through traineeship in “Terminal 2 Project Team” at Munich Airport (Germany). She has a working experience of almost 20 years in the Air Traffic Control/Management (ATC/M) domain. Her main fields of interest are: ATC/M Modelling/Simulations, Sustainability of Air Transportation, Human Factors in ATC, Air Traffic Analysis, Modelling and Forecasting, Airport Planning, Design and Operations. She has been involved in labs and lecturing (mainly ATC, but also Meteorology, Airports, Air Navigation, Air Cargo Transport and Transportation Networks). She has taken part in a number of research and consulting studies mostly concerning ATC/M and airports and she is an author and co-author of 10 papers. 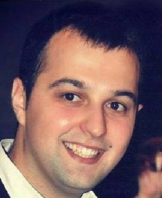 Emir Ganić (male) is a research assistant and Ph.D. candidate at the APATC, UB-FTTE. Educated at Faculty of Organizational Sciences, University of Belgrade, where he received his dipl.ing. and MSc, all in Quality management. In the period from April 2011 to March 2013, he worked at the Civil Aviation Directorate of the Republic of Serbia as Environmental Consultant. During those two years, he developed the first ICAO State Action Plan on aviation emission reduction of the Republic of Serbia in June 2012 and participated in G2G project on the Implementation of Environmental Noise Directive 2002/49/EC in Serbia (development of strategic noise maps for airports in the Republic of Serbia). The major field of scientific and professional interest is in the areas of environmental protection, sustainable aviation, noise and emission reduction and environmental quality management. 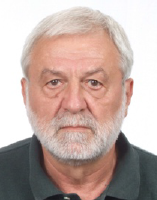 Emir Ganic has published several scientific papers in international and domestic journals, and he has participated in several international and domestic conferences and workshops. Goran Pavlovic obtained his BSc degree in Air Transport and Traffic Engineering at UB-FTTE in 2015. Previously he was an air force cadet at the Military Academy, University of Defense. First professional experience he gained during a traineeship at EUROCONTROL in User Relations Unit (Directorate Network Manager) and Performance Review Unit (Directorate Pan-European Single Sky) from October 2015 until July 2016. 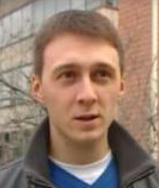 Currently he is a MSc student and a junior researcher at APATC, UB/FTTE.